Copar's Digital Glue System Control provides greater flexibility and glue volume control, reduces the amount of glue required, and reduces tack time. The set-up is operator friendly and requires very little work. 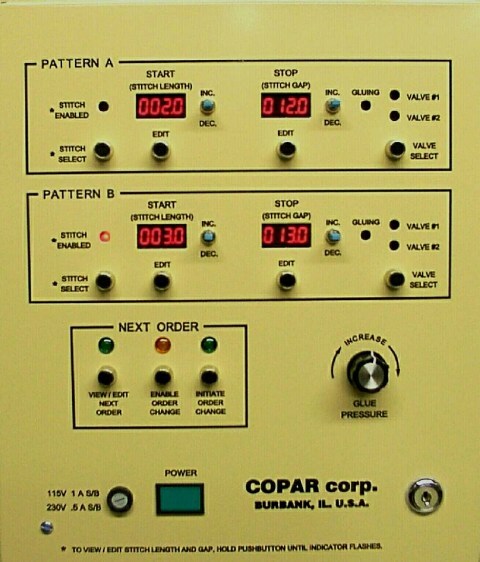 COPAR uses a three-way valve that has both glue and water feeding the extruder. The valve can be easily switched for quick and easy clean-up. This method reduces end-of-shift or end-of-day clean-up time to seconds.